Consider the possibilities of the space available by drawing a dream layout. The SSPRR Run Room track was designed with RR-Track software. Start with the size and shape of the space and start laying track on paper or with software. This is the start of your room plan. 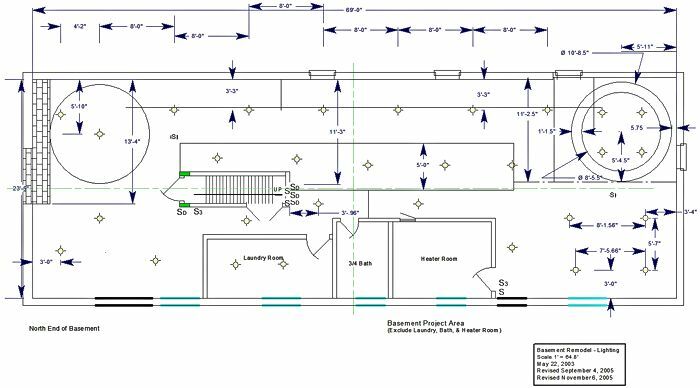 See the Run Room track diagrams here. 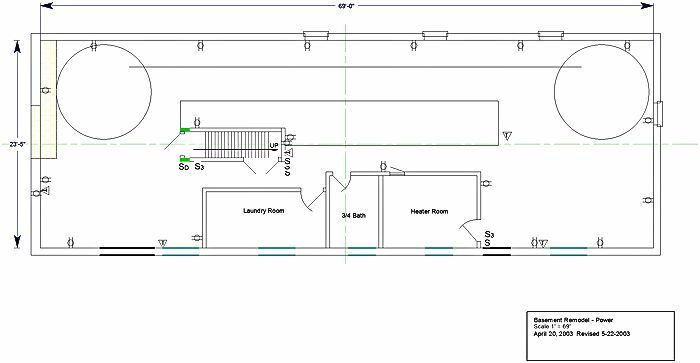 If you are fortunate enough to build your toy train room from scratch, here are a few special features added to the SSPRR Run Room during basement planning and construction. Install lighting based on your track and scenery layout. Install smoke detectors that will alarm in the living area of the house or building. Switch the bottom of all duplex receptacles (wall plugs). Locate all wall switches in one place and all power and lights can be shut off at the same time. With layout controls at the center of the layout for possible command control, plan 15 amp wall outlet circuits with one circuit on each side of that center for maximum power availability. When the layout room is wired according to the electrical code there will be plenty of circuits and outlets available. Run Room wall switches are located as close as possible to stairs entry and exit. The top three switches control the bottom plug of the wall outlets on the three 15 amp outlet circuits. The bottom three switches control the three 15 amp lighting circuits. The light switches started out as dimmers and were replaced by switches when dimming proved unnecessary.